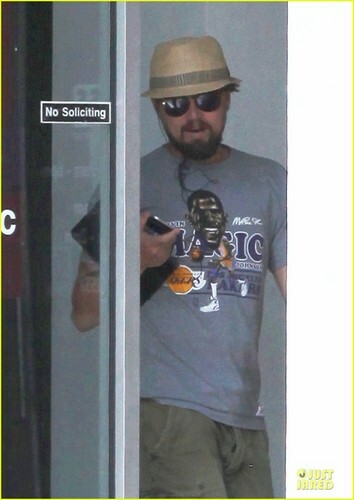 Leonardo DiCaprio: Chiropractor Visit in New Orleans. Leonardo DiCaprio: Chiropractor Visit in New Orleans. HD Wallpaper and background images in the Leonardo DiCaprio club tagged: leonardo dicaprio. This Leonardo DiCaprio photo might contain परिक्रामी दरवाजा, रिवाल्वर, परिक्रामी द्वार, रिवॉल्वर, टेलीफोन बूथ, फोन बूथ, कॉल बॉक्स, टेलीफोन बॉक्स, टेलीफोन कियोस्क, टेलीफोन किओस्क, and टेलीफोन कीओस्क.